Prep time: 15 minutes. Serves 2. 1. 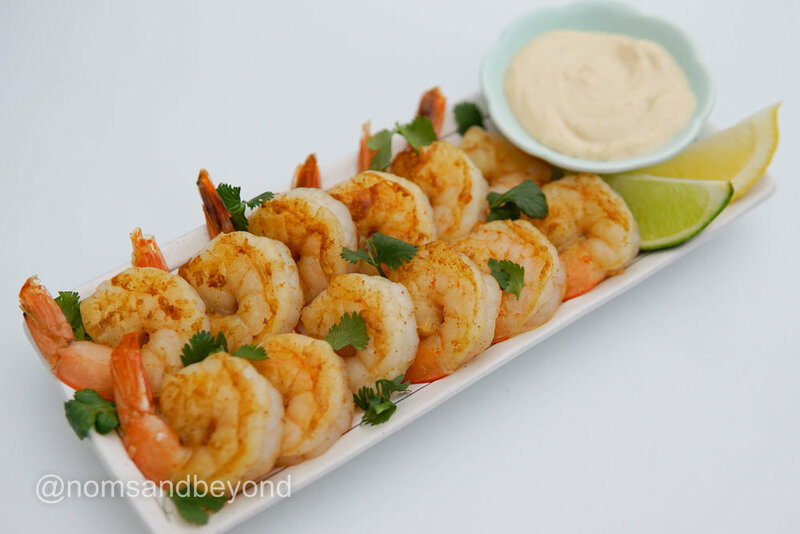 In a bowl, combine shrimp, oil, cumin, cayenne pepper and salt. 2. 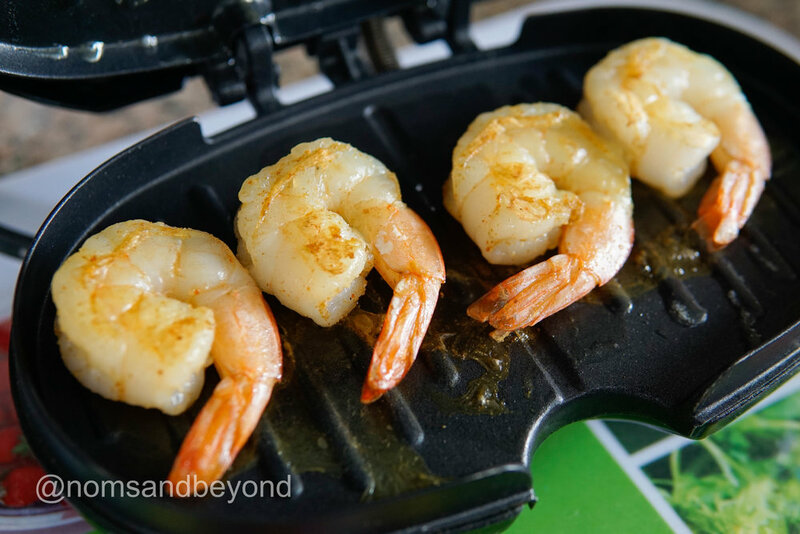 Place shrimp on greased grill over medium-high heat; close lid and grill, turning once, until shrimp are pink and opaque, about 4 minutes total. I used a panini grill in this recipe since I did not have a grill. 3. Transfer to plate and garnish. Serve room temperature (or refrigerate if desired) with aioli sauce.